Morton's 5th Avenue is located in the heart of Midtown Manhattan. Nestled between two of New York City's iconic streets, Madison and 5th Avenues, Morton's is the perfect place to lock in that business deal, unwind after a busy day at work or recharge after shopping and taking in the Big Apple. We look forward to serving you. USDA prime-aged beef, succulent seafood, fine wines, chilled cocktails, decadent desserts, crisp white linens and exceptional service...Morton's serves The Best Steak Anywhere. 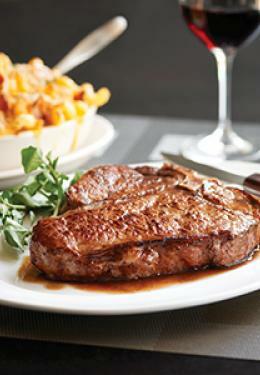 For more than 30 years, Morton's is the steakhouse by which all others are measured.